Fast Quotes on Fort Worth Texas Tow Truck Insurance! Call Pathway Insurance at 800-998-0662 when looking for fast quotes and coverage for Tow Truck Insurance in Fort Worth Texas and the surrounding areas. We insure all different types of towing operations throughout the state of Texas including Garages, Car Dealerships, and companies offering only Towing Service. or click on Fort Worth Tow Truck Insurance to send us your request for quotes and information online. 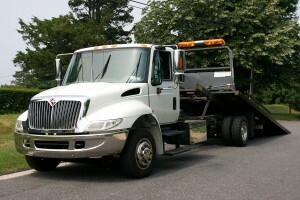 Important Details You Should Be Aware of When Shopping for Fort Worth Tow Truck Insurance. It’s really important to make sure that you purchase adequate insurance for your business plus the optional necessary endorsements. For instance it’s not really a good idea to tow any sort of vehicle without the optional On Hook Coverage. Claims Example: A driver working for Tiny Tim Towing Service is involved in a not at fault accident at about 12:32 PM Saturday afternoon. An uninsured motorist ran into the back of Ted Peterson’s 2012 BMW that was being towed on one of Tiny Tim’s Tow trucks. The BMW was being towed to a repair facility after being involved in an accident just 2 hours earlier. The uninsured motorist (who remains unidentified) fled the scene on foot after smashing into Ted’s BMW that was being transported by Tiny Tim’s Towing Service. As it turned out the vehicle was stolen and so no coverage would be tendered by the owner of the stolen vehicle. A claim is submitted to Tiny Tim’s Towing Service’s insurance carrier and they accept partial liability for the damage caused while the vehicle was being towed because Tiny Tim’s Towing Service had purchased the optional On Hook Insurance Coverage. Other important coverages may be necessary for your towing service and of course this is dependent upon the types of services your company provides. We will consider more details about this later in a future article. Tow Truck Insurance Fort Worth Texas – Fast Quotes and Coverage! 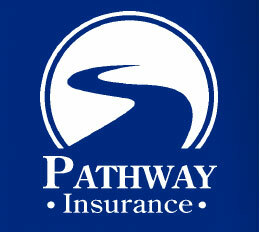 If you’re searching for a great deal on Tow Truck Insurance in Fort Worth Texas and the surrounding areas you should call Pathway Insurance by dialing 1-800-998-0662 or chat with a licensed agent 7 days per week. Additionally you can send us a request online by clicking on Tow Truck Insurance in Fort Worth 24 hours per day.